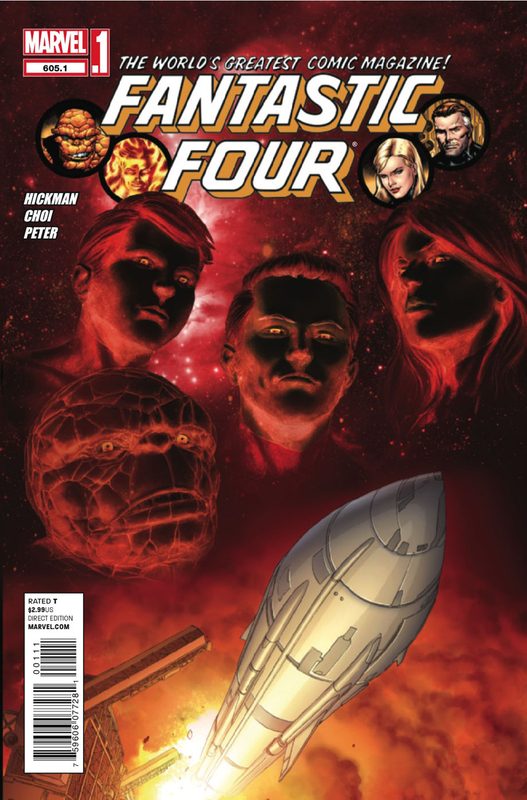 You know if I was stuck on a desert island and I was only to take one thing, it would be my sub to writer Jonathan Hickman's run on Fantastic Four. Packed into a solar-powered jetski ridden by a circus monkey. See, three forms of endless entertainment all in the one wish. Next issue up (#605.1), sees Jonathan's new story-arc start off the same and end up completely different. How different? Try three of the four working for the Third Reich kinda different, and that one quarter not inline? 'The Thing'. Drawn by Mike Choi, click and enlarge this preview to see the beginning of his payback! Grab your wallets folks, this weeks issue is gonna' be good! yeah now that's what i'm talking about kiss your nazi balls good bye! Thanks guys! Yip, Thing may sometimes be just one allied force - but what an allied force! This actually does seem like a cool story, although Warren Ellis already(kind of) wrote a Nazi FF in Planetary. That's the best depiction of the Thing I've seen in ages. I think it may be my favorite. Thats right Dale he did too - i didn't click to that. I wonder how they'll compare. Wildstorm you are missed. Craig, Mike sure draws in a distinct style doesn't he? I'm not sure who my favourite Thing artist would be, but I want to find out now. Id love to see more of the Council of Reeds in 'alternative' FF one-offs. This was a fascinating read, over far too soon for my liking. 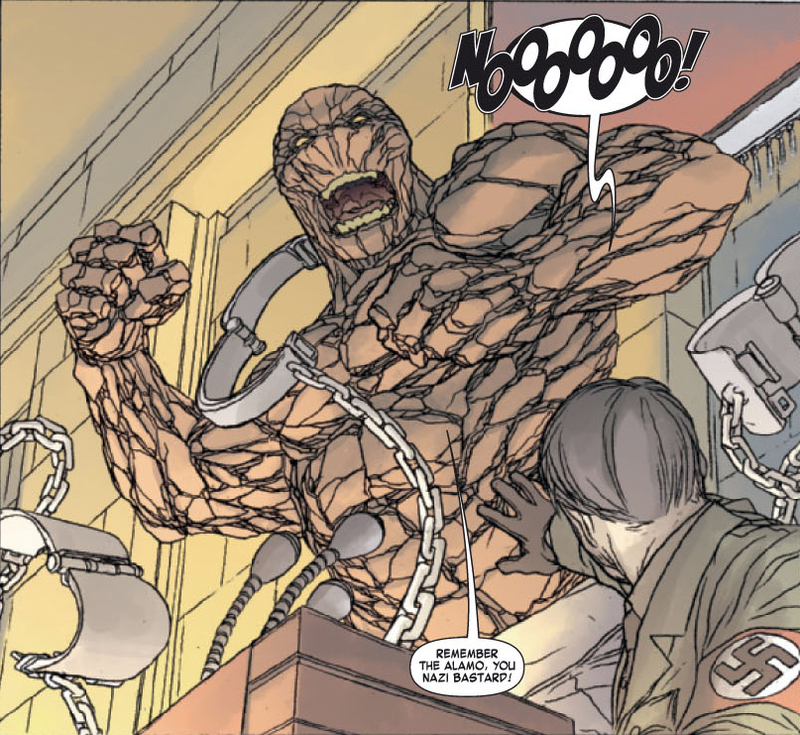 What with the Council of Reeds and the Parliament of Dooms, Hickman [whose writing has always seemed cold and remote to me] has left potential storylines for years to come! That he has Karl - how will Galactus see Franklin using him as a Herald, same for Annihilus being the dog slave of the Human Torch. What happened to Sue's ties with Atlantis? Yip we could definitely get a lot more out of all these threads!